Xbox gamers can finally play Yoko Taro's masterpiece! 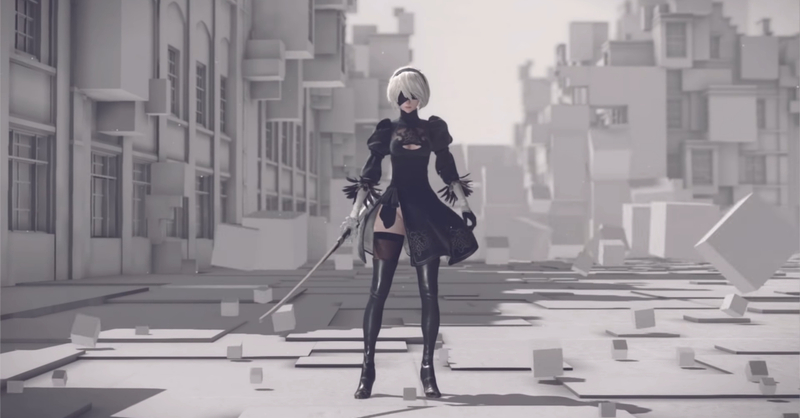 After over a year since its release, Xbox One users can finally play Square Enix and Platinum Games’ action-RPG-slash-bullet-hell NieR: Automata! The Xbox One version of the game is named NieR: Automata BECOME AS GODS Edition, and it features bonus add-ons which include different costumes. Directed by the eccentric developer Yoko Taro, NieR: Automata is the sequel to NieR for the PS3 and Xbox 360, which is itself a spin-off game from Taro’s Drakeengard series. The story of the series gets really confusing (even more than Metal Gear and Kingdom Hearts if you could believe it), but what you need to know about Automata is that it’s set in the far future where human-looking androids fight in behalf of humanity against toy-like machines made by alien lifeforms. NieR: Automata received rave reviews upon release. Critics and fans praised the Automata’s genre-bending gameplay; the unique setting and story were also given praise. And of course, fans from all over the world were enamored with the games’ cast of characters, specifically 2B. Just look up 2B cosplay online, I guarantee you there’s a whole lot of them. NieR Automata BECOME AS GODS Edition is available now at the Microsoft Store for Xbox One, with an SRP of USD 49.99.